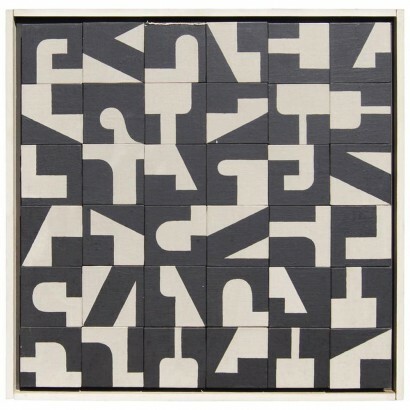 This black-and-white abstract painting is the work of Norman Ives (1923-1978), circa 1969. 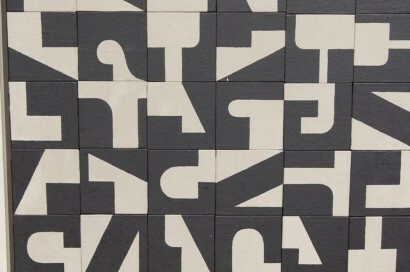 An artist and graphic designer based in New Haven, he was also a publisher of fine portfolios of many of the century’s top modernist artists. 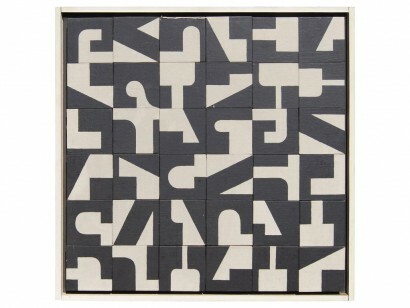 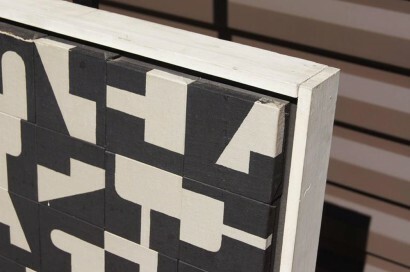 Liquitex on canvas, the piece comprises thirty-six square blocks set into a wood frame. 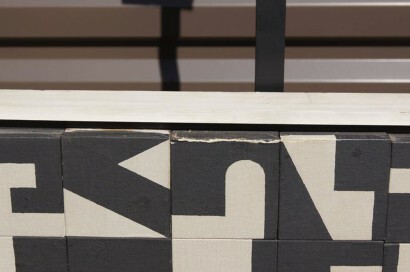 The painting is signed on the verso; the pigment is abraded at the top edge of one block but is otherwise in good condition.